Anyone keen to drive around Perth of late will notice a city pockmarked with road works, and there’s more on the way as extra lanes will soon be added to the Northbridge Tunnel and Mitchell Freeway. WA Transport Minister Troy Buswell today says the work on the tunnel, plus an extra lane on the Mitchell Freeway will soon start, costing $57 million. 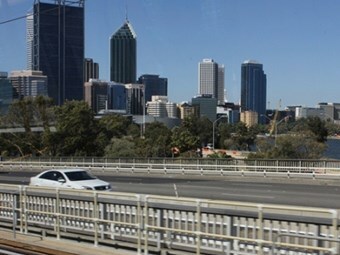 "This $57million project is part of a bigger package of transport solutions to improve the operation of the CBD road network and address the challenges associated with Perth's increasing population," Buswell says. "Once completed, it will provide an alternative route for east-west CBD traffic, and improve merging, exit arrangements and northbound capacity on Mitchell Freeway. It will also help manage the impact of other important CBD developments." The freeway works are being undertaken by Abigroup, which will initially concentrate on the section from Perth city to Vincent Street and ultimately increase northbound capacity on the Mitchell Freeway. "This includes construction of an extra lane and a new Mitchell Freeway on-ramp from the Graham Farmer Freeway’s Loftus Street exit," says Buswell. "This is a highly innovative element of the project that will significantly improve safety. It will eliminate the need for motorists exiting the tunnel to cross three lanes of traffic to exit at Vincent Street." From May to December 2013, Abigroup will complete the extra lane and bridge widening from Vincent Street to Hutton Street. Buswell says the announcement was in addition to a new $30 million third northbound lane which was started in January along the 7.2km stretch of Mitchell Freeway, from Hepburn Avenue to Hodges Drive. "This widening will accommodate the rapid increase in freeway traffic between Hepburn Avenue and Hodges Drive, which is already approaching the 2016 forecast of more than 40,000 vehicles per day," he says. The works on Mitchell Freeway will require lane closures and speed reductions. However, emergency lanes will be utilised to maintain capacity. "Together, the two Mitchell Freeway projects will help relieve the pressure on the freeway in the afternoon peak period, improving traffic flow and peak hour travel times out of the CBD," Buswell says. He says while efforts will be made to minimise disruptions, some delays are expected, especially at peak times. "We ask motorists to be patient and, where possible, plan ahead, allow additional travel time and seek alternative routes where practical while these transformational works are under way," Buswell says. Work will start on the Northbridge Tunnel in March, with the new lanes open to traffic in May.